Star Wars Character Dining Announced! Limited Time Only, Star Wars Weekends! Starting May 4th during Star Wars Weekends at Disney’s Hollywood Studios, two new character meal experiences will be available through Star Wars Weekends. Booking begins today, March 26th for the dinner at Hollywood and Vine and breakfast at Sci-Fi Dine In. 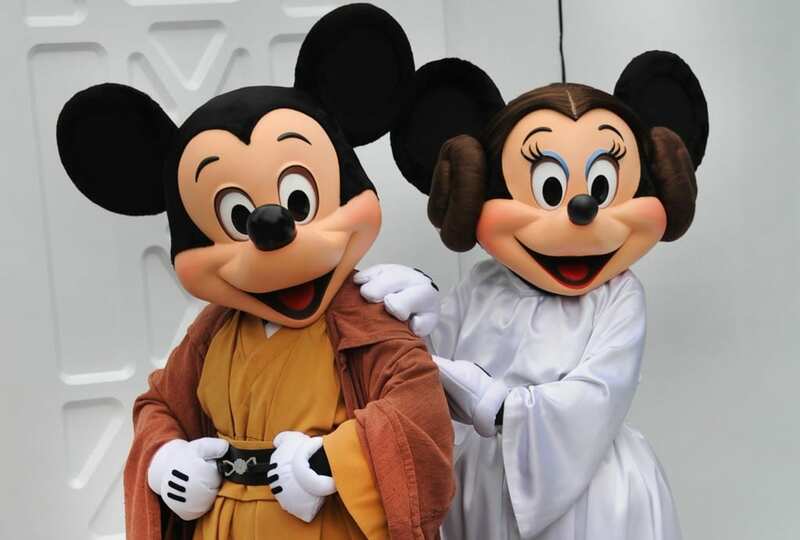 The Jedi Mickey’s Star Wars Dine at Hollywood and Vine dinner will feature Disney characters in Star Wars costumes like Ewok Chip & Dale, Jedi Mickey, Leia Minnie, Darth Goofy and Stormtrooper Donald. Dates run from May 4 – June 15 on weekends. Seatings for dinner start at 4:15pm and go until either 8, 8:30, 9 or 9:30 to correspond with park close. Guests are able to do this experience as a Fantasmic dinner package for adults $59.99/kids $36.99 or just as the meal for $55.99/$33.99. The meals include a digital download of a photograph with Chip and Dale. Star Wars Galactic Dine-In Breakfast will offer reservations from 8am until noon and is $47.99 for adults and $29.99 for kids. This also includes a digital photo of the party on a commemorative photopass card. Characters for breakfast include Stormtroopers, Jawa, Greedo, Boba Fett and Darth Vader. Instead of the normal sci fi movie clips, the big screen will feature trailers, clips and music from Star Wars.